Elementary school is one of the most important times for the physical development of children, the elevation of their cognitive psychology, and their learning abilities. It’s where they learn to do important things like count, read, and write – the very basic educational foundations that lead them to a life of learning. In today’s society, there is a strict placement set on teaching every kid these very important tools, and if for any reason they have trouble mastering it, there are several resources available like an elementary school tutor. Amazing, right? Well, here are a few benefits of having an elementary school tutor program. Individual learning is a very underrated area that may need more attention in elementary schools across the world. 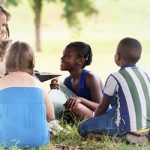 With such a big emphasis put on unification and group learning, the fact that some children learn better outside of a group is often forgotten. It is impossible for a teacher to give sole attention to one student when there are several in a class, but tutoring is meant for scenarios like this. When one receives tutoring, a they may learn more because of their ability to ask more questions, have direct communication with a tutor, and minimal distractions from others. The classrooms of today can be so fast-paced that students often get lost, may not learn as efficiently, and are in danger of losing motivation should they fall behind. 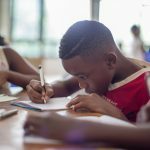 What an elementary school tutor can do is allow you to pace yourself, learn things on your own time, and truly help you develop an appreciation for what is being taught. Not every student reads at lightning speed or writes in a neat manner. A tutor, however, can help students improve all of these areas by exemplifying patience and providing an extra load of attention. When a student is in an environment where they feel good about themselves as an individual, they seem to learn better. Things like respect from peers, a collaborative classroom, and attention from teachers, are all things that enhance the self-esteem of a student. If there is one thing a student in an elementary grade desires, it’s to be cared for. Tutoring right off the back provides a caring atmosphere and a person who desires to see one succeed in the area they need help in most. When kids head back to the classroom after receiving tutoring, they feel better about contributing to the classroom, which leads to better results for them across the board. When you combine the opportunity to get one on one lessons with learning how to pace yourself and build self-esteem, academic performance naturally ascends to new heights. Test scores improve, group work seems fun, homework becomes a piece of cake, and the classroom just becomes a place you desire to be. Whether it’s reading or writing, to lack efficiency in either area can be problematic. However, tutoring can be the one resource to get every student on track. For some, receiving additional help can make all the difference.